July 21st - 22nd, 2007 CHA-3 Black Belt Seminar. Hosted by Chief Instructor Mike Potes, Las Vegas Branch. 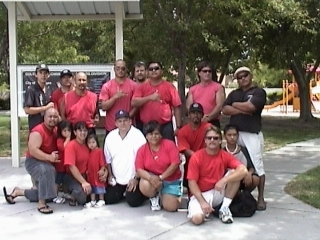 Thanks to Chief Mike Potes for organizing the 2007 Las Vegas Seminar. Thanks to Professor Mike Tiwanak for the solid leadership and training. 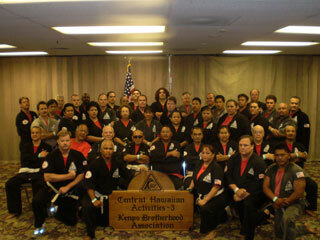 It was nice to see and train with all the C.H.A.-3 brothers and sisters from the Mainland and Hawaii. If you want to view more pictures of the Las Vegas Seminar, please go to the main website at www.cha3kenpo.com. 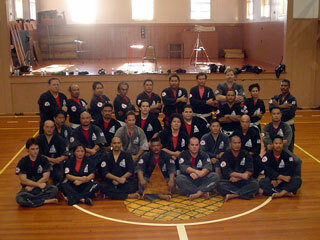 October 9th-10th, 2004 CHA-3 Black Belt Seminar. Hosted by Instructor Alan Fernandez, Lana'i Branch. Mahalo to Instructor Al for hosting such an awesome event. The training was solid, the food was "ono" and the Aloha Spirit is alive and well in Lana'i. Also, much thanks to the students and the families of the Lana'i Branch. July 26, 2003 CHA-3 Seminar. Hosted by Instructor Jon Clarke, Catalina Island Branch. Thank you to Instructor Jon for your hospitality and kindness. July 8, 2001 Las Vegas, Nevada. The first CHA-3 Black Belt Seminar.